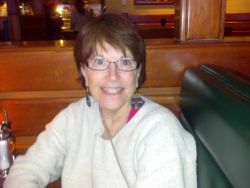 Hi, My name is Judy Silcock and I have been a practicing massage therapist and bodyworker for thirty five years. I started my journey learning Esalen Massage in Big Sur, California in 1969, then continued in 1979-1981 actually practicing bodywork and studying with a variety of practitioners through apprenticeship programs. In 1982, I went to Magic Valley Massotherapy Institute in Buhl, Idaho where I learned many other massage and bodywork techniques. Upon graduation, I started working full time and have continued to do so since. I firmly believe that in order to stay on top of your profession and offer the best services to your clients, you must invest in yourself. I continue to do that by taking annual continuing education. I was blessed in 1990 to have been able to study Sports Massage in Russia at the Physical Culture and Science Institutes in Moscow and St. Petersberg where they work with their olympic athletes. I also have been very fortunate to study with many of the highly recognized and professional continuing education providers in our industry. I enjoy giving back to my profession and continue to do so by volunteering. I have held offices on a state level with the Idaho Massotherapy Association and The American Massage Therapy Association; and since 1995 have held a number of positions with The National Certification Board for Therapeutic Massage and Bodywork. Volunteering enables me to network with other skilled professionals within our profession, give back to an industry that has been so good to me, and has helped me to grow as an individual by developing many capacities and skills I hadn't had before. My practice specializes in more clinical type modalities. Targeting people with postural distortions, pain dysfunctions from a variety of causes, repetitive syndromes, back, head and neck and pre-post surgical conditons. I also offer energy type modalities and somato-emotional support. I thoroughly enjoy my work and look forward to many more years of service. 2010 was a busy year for me. I was recently elected to the Board of Directors for the National Certification Board for Therapeutic Massage and Bodywork. It will be a 4 year term which starts this winter 2011. The NCBTMB is a national credentialing organization that promotes the highest standard of excellence in the field of massage through certification and continuing education. I am very excited for this opportunity and look forward to serving my constituents and working along with the major stakeholders within the massage profession! I managed to take five continuing education seminars: 2 courses with John Barnes, P.T. in Myofascial Release; 3 courses with Taum Sayers in The Berry Method of Corrective Massage for Shoulder, Wrist and Hand and Elbow Problems and Injuries; and a course in Frontal Approaches Specific to the Neck with Jan Lang. All of these courses support my clinical goals of providing higher levels of massage and bodywork techniques to my clients. In 2011 was another busy year of continuing education; including another Myofascial Release course with John Barnes, PT; a Manual Lymphatic Drainage, a Deep Tissue Technique class, and numerous others, but the most exciting accomplishment and one I am enjoying sharing with my clients is a “Professional Specialty Certification” in Spinal Reflex Therapy. This enables me to hone in on existing spinal patterns that are a result of a compromised vetebrae that are causing pain and symptoms in the body. 2012 has been a pinnacle year for the State of Idaho. After 20 years of trying to get legislation passed for licensure, we finally did it. Governor "Butch" Otter signed the bill this Spring and we will all be required to be licensed by July of 2013. The National Certification Board for Therapeutic Massage and Bodywork has just announced that they will be offering a "BOARD CERTIFICATION" starting January 2013. What does this mean for you? It means that massage therapists who hold this credential hold themselves to a higher level of professionalism and conduct. They have taken an exam that exemplifies a higher level of education and assessment which will enable them to network with other health care professionals on a more even playing field, which means better care, treatments and outcomes for you. NEWS FLASH! AS OF MARCH 22, 2013 I HAVE JUST BECOME "BOARD CERTIFIED" THROUGH THE NATIONAL CERTIFICATION BOARD FOR THERAPEUTIC MASSAGE AND BODYWORK. I am so excited that I now hold this highly esteemed credential. Update on recent continuing education: in February of 2013 I spent over a week in Freeport Bahamas recertifying my "Professional Certification" in Spinal Reflex Therapy by taking a class called "Failed and Unresolved Cases". It was extremely helpful and took SRT to a new level. As of April I am now licensed in the state of Idaho. The credentials will be listed as LMT. We finally did it!! Please come in to see what I have learned and can offer you!